I LOVED this idea and had TONS of FUN playing with it for myself. So here are a few examples of positive “what if”s. What if I’m the student instead of the teacher? What if I trusted that it would all work out even if I wasn’t in charge? What if I treated my child as my spiritual equal and partner rather than someone I “had to raise”? What if I wanted to remain a loving, comforting, nurturing presence for my child long after I was physically alive? 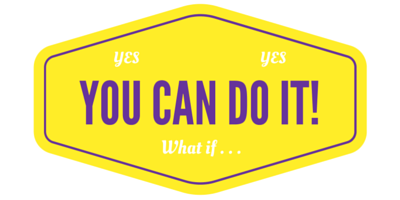 Now I invite you to write some of your very own “what if”s that inspire, empower, energize, and encourage you. Take five short minutes and write down every uplifting, heart-opening, mind-expanding, “what if” question that comes to mind. Ready? GO! Finally, here are the rest of the “what if”s that sprang into my consciousness when I did my own list. What if the magic we’re creating doesn’t end but just changes form? What if new discoveries are as important as finding answers? What if my abilities are exactly matched to the needs before me? What if the rough parts really do make the smooth parts smoother? What if nothing gets in the way of our loving one another — not “screw ups,” bad moods, conflicting ideas, busyness, nothing? What if there’s nothing to fear? What if every disconnect showed us how to better connect? What if loving — giving it, receiving it, savoring it — was my only real job as a parent? What if I talked to myself the same way I usually talk to my child when I made a mistake? What if the only “teaching” I did was by example? What if my child didn’t fundamentally change one bit from the moment she entered this world? What if I trusted that my child would fashion something useful and beneficial from any and all her life experiences, no matter what? What if I wanted our relationship to be a life-long spiritual love affair? What if I wanted memorable moments and connection more than anything else? 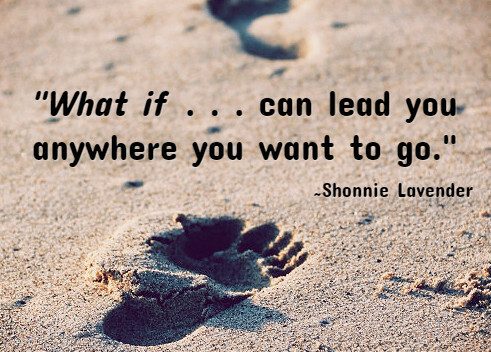 Thank you, Carrie Contey, for inspiring this elevating trip down “what if” lane! If you’re so moved, I’d love to read some of your own “what if”s. Post them in the comments below.